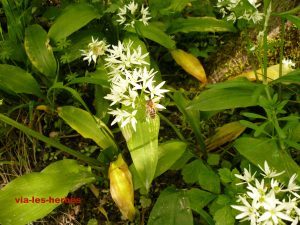 Bear’s garlic (not to be assimilated as the generic » wild garlic »), Allium ursinum, family known as Amaryllidaceae since 2009 (formerly named Liliaceae family). According to many observers, bears awaking after a long sleeping winter period are fond of such plant, one of the first in the wildlife to emerge at spring and to bloom; bears are first attracted by its strong smelling, then liking very much to eat the plant itself and thus to get the benefit from its depurative power after their long sleep. 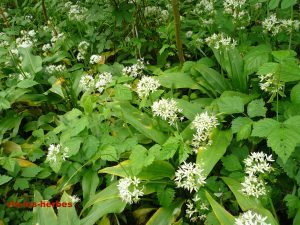 Bear’s garlic is an hardy, wild, herbaceous plant, 20 to 50 centimeters (roughly 8 to 20 inches) in height, which one can see spreading over vast areas, often as a dense carpet, in shaded areas, in cool and moist underwood. The bear’s garlic grow in France, in Europe, in Caucase, in Boreale Asia, in Siberia and until Kamchatka. It is a plant that can easily be grown. The bulb is small, tough, white, longly shaped, which provides two long stalked dark green wide and oval lanceolate leaves. The leaves with long petiole have parallel ribs. The leafless stem is semi-cylindrical. 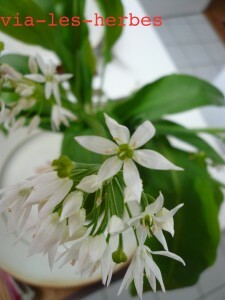 At the top of the stem, there are numerous flowers, starry, of a brilliant white. They are positioned as a spherical umbel which flowers do not contain reproductive bulbs. The fruit is a capsule with 3 rounded loges containing shiny and black seeds. The bulb serves as a condiment, it is more digestible than cultivated garlic. Fresh leaves harvested in spring before flowering. 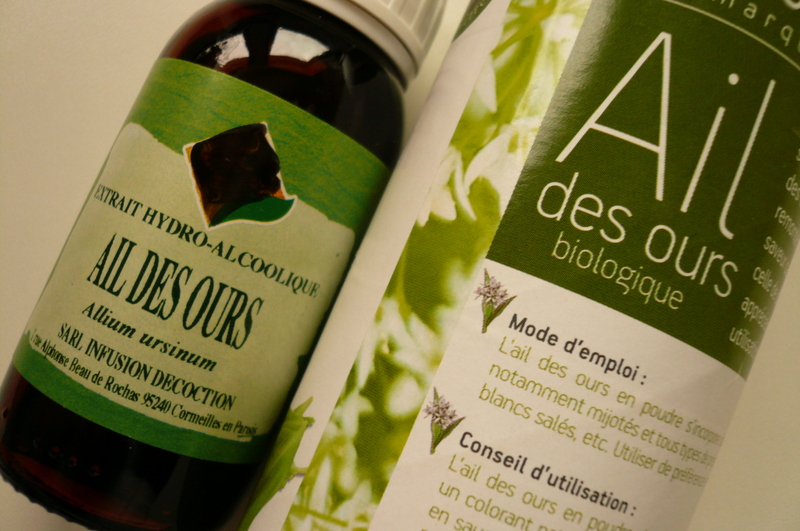 Vitamin C, selenium, sulfur-containing amino acids, essential oil containing sulfides and alkyl polysulfides. 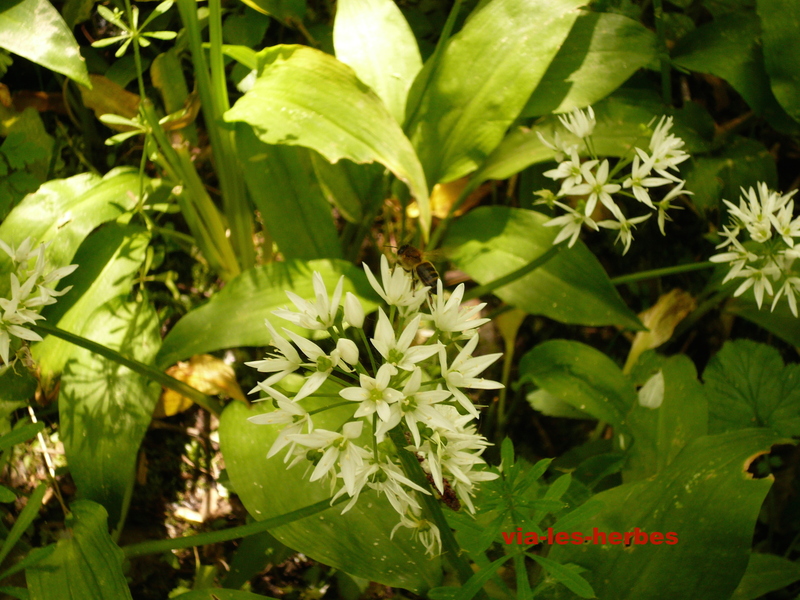 Bear’s garlic has the same medicinal properties as cultivated garlic (Allium sativum), and its effects are smoother than the latter . Thanks to its sulfur compounds, it’s effect is vermifuge, excellent cleansing and diuretic. It is very often associated with the dandelion in the spring depurative cures and also in the emaciation cures , for which it proves to be very effective. 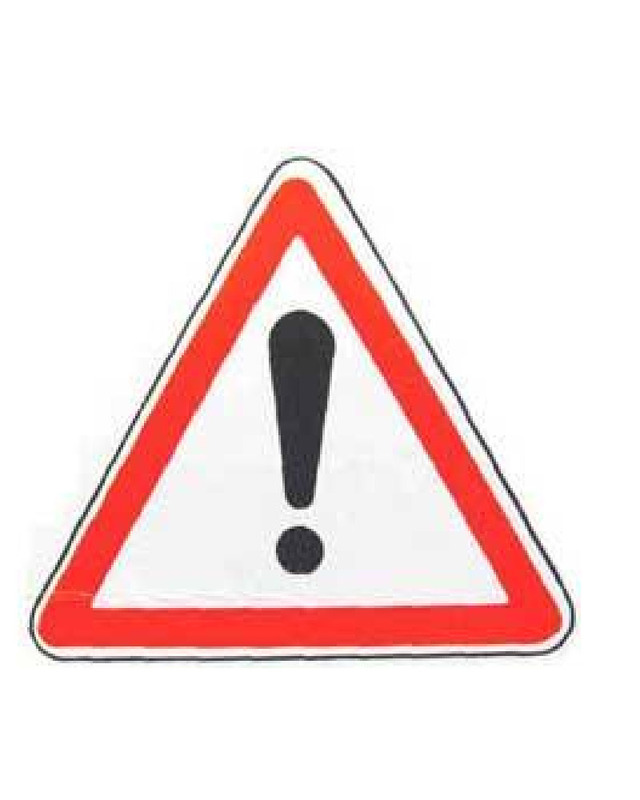 It is stimulant, hypotensive and antiseptic. It provides a cholagogue effect and, as such, eases the evacuation of bile to the intestine. It is a very good chelator, very useful cure in case of poisoning with heavy metals such as aluminium,mercury, lead, cadmium…. Regarding such chelator power, bear’s garlic is often associated with coriander. 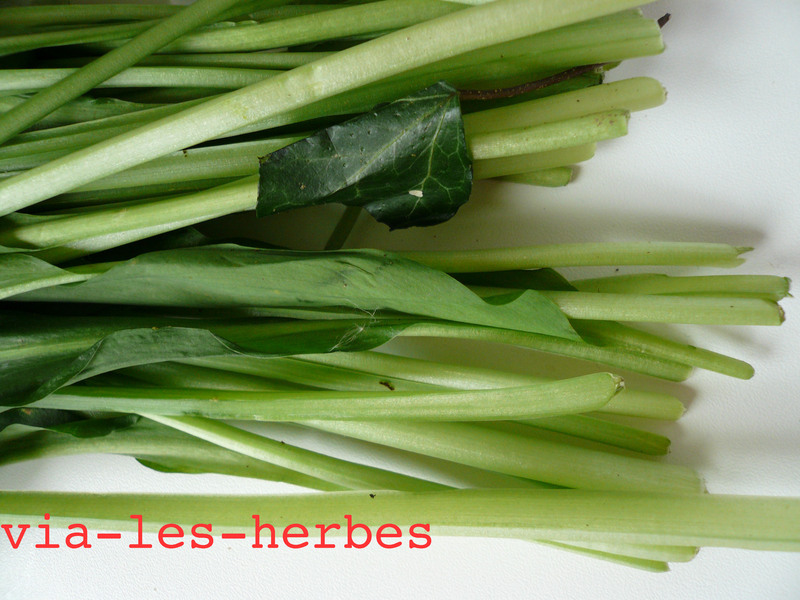 At spring, a small amount of fresh leaves can be eaten as a very good condiment within salads or added after cooking soups or omelettes (Note that bear’s garlic loses its properties and its perfume when cooked). Hydroalcoholic solution : 25 drops in a glass of water 3 times a day for adults. Mother tincture: 30 drops per day for adults. Powder: 200 milligrams , three times per day for adults. 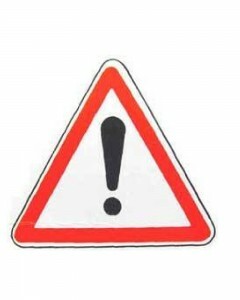 To the extent that recommended doses are respected, there should not occur any problem, but absorbing high doses of bear’s garlic can cause gastric irritations. Like garlic grown, the bear’s garlic extends the coagulation time:i can therefore interfere with anticoagulant treatments. Do not confuse bear’s garlic with lily-of-the-valley, especially before flowering, because the leaves are similar. 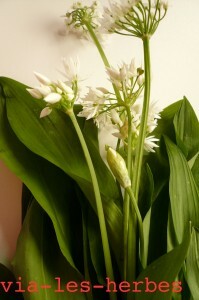 The best way to recognize bear’s garlic is to crease the leaves: a good smell of garlic emerges. 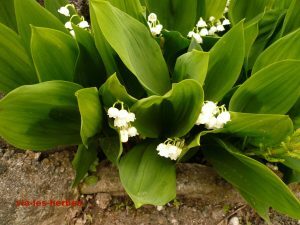 Lily-of-the-valley is a toxic plant, all parts of such plant are toxic, and creasing its leaves does not produce any particular smelling.